Armando is fantastic, extremely professional and I want to give you my business because lf how nicey he treated me. Tony: A great Technician. Professional service. I am grateful. I received excellent service from my first phone call to the company all the way through the final installation. I was assigned a highly skilled technician who completed my garage door opener replacement quickly and professionally, even providing additional support bracing where he thought it might be good to have. All features of the new unit were explained to me clearly, and I was encouraged to call him back if I had any additional questions. We have used this company for all of our garage door needs, dating back to the installation of our solid wood garage door and Precision garage door opener many years ago. We couldn't be happier with the service and quality of products we've received from them. Very pleased with Sergio, the service technician who came over. He was friendly, professional and took time to explain very well all our options. He fixed our broken springs and the door was working better than it ever had even before the springs broke. 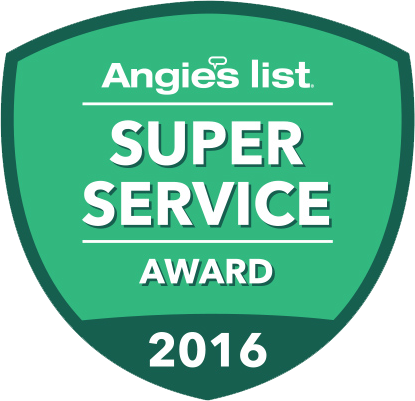 So glad to have had a competent and nice serviceman to handle our garage door problem. Very pleased with the fast and efficient service. I would definitely call again the next time I need garage door repair. Five stars, nice technician and nice opener. Greatly appreciated the fast service since I am disabled. From Sam at the showrioom, Trevor the salesman, David and crew who installed, all did a great job. Wife and I are very pleased. I know I got an excellent quality door. Just watching the men install it, and operating it afterward, I knew it was a good one. I did not check around and was willing to pay a higher price for excellent quality. It's whatever I exspected. Thankyou Precision. Due to a broken spring, our cars were trapped in the garage. Could not open door even manually. Called Precision at 11:00pm on a Friday night, and made an appointment for 8:00am on Sunday morning. Jaysen was here right on time. He was very knowledgeable and efficient. He changed the springs and serviced the door within 90 minutes. I was very impressed with Precision. Excellent phone staff and Jaysen was a credit to the company. We got 2 new manual garage doors installed. 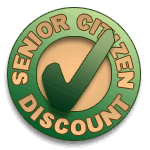 The tech that came out to give us a free estimate was very helpful and gave us a fair price. The installation was quick and professional and very clean! The installer made sure we were totally satisfied. Great work! Technician did a great job replacing old motor and belt drive he was fast and thorough! Awesome customer service!! I wanted to recommend Luis! He did an excellent job on a difficult garage replacement. He was very professional and went the extra mile to make sure it was done correctly and we were happy. I think the company is lucky to have someone like him. Daniel was awesome. Not only was he on time, but early. Very informative and helpful. Excellent service and product. We are very satisfied. technician was great, explained everything before he did the work, was quick, clean and on time! The service technician Brian R was very prompt, actually an hour early! He explained well the repairs to be done and the estimated cost, which is reasonable. The job was well done, with a one year warranty. My expectations were met. 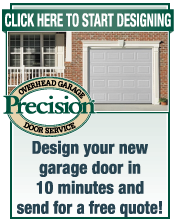 I'll recommend Precision to my friends needing garage door repairs. I was very pleased with the work that Brian performed. He provided me with great service and he gave an honest assessment of what was wrong with my old door. At no point did I feel he was taking me for a ride. I would recommend Precision Door Service to my friends and family. very knowledgable and pleasant representative!! Excellent! Prompt and professional with reasonable rates.Same day weekend service. Knowledgeable courteous and fast. Very highly recommended. I opened the Yellow Pages and I found that you don't charge extra for servicing on Sundays. Sorry, I can't remember the name of the service technician but he was gentle, giving good advice and performing his work to my entire satisfaction. Thanks again, Carmen F. del Aguila. Same day service (I didn't call until noon on a Saturday! ), and the person on the phone was clear and helpful. The technician was respectful, clean and efficient. He even arrived earlier than my appointment window (he called first to see if that would work). The door works better than ever. Thanks! We were very impressed with Mike. He was prompt, professional and very organized! 100% Satisfied! It was such a pleasure to work with Sam. I appreciated his courtesy, thoroughness and knowledge. I needed to have my garage door opener looked at and the seal around the door replaced. Sam came out and gave me a couple options on different openers along with the costs associated with them. He explained very well the differences, warranties, and features. I chose a new opener and he replaced the seal as well. It was convenient for me that he had anything I wanted on his truck at the time. Precision was a great experience.